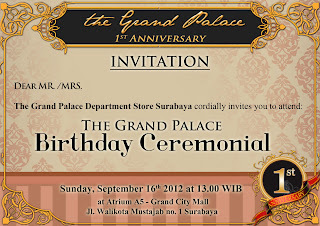 Yesterday I was attended Grand Palace First Birthday at Grand City Surabaya. I went there with fellow IBB friends (yennyca, xiao vee, caroline, hana, lala, and pricil). 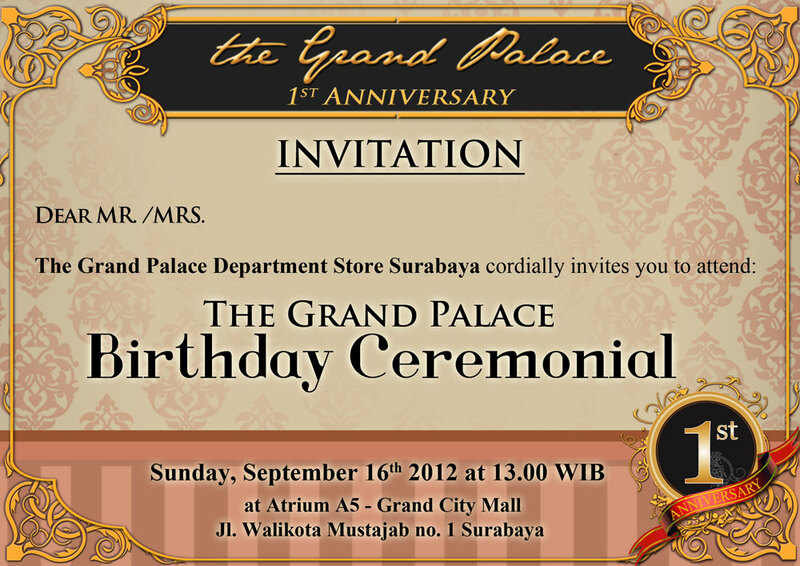 Grand Palace is a departement store at Grand City Mall Surabaya. They provide many stuff from various brand. 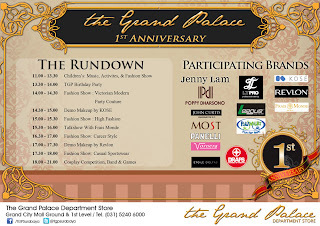 For Beauty Section, they have KOSE, Max Factor, Revlon, Frais Monde, History Of Woo, LT Pro, ZA, and many more. 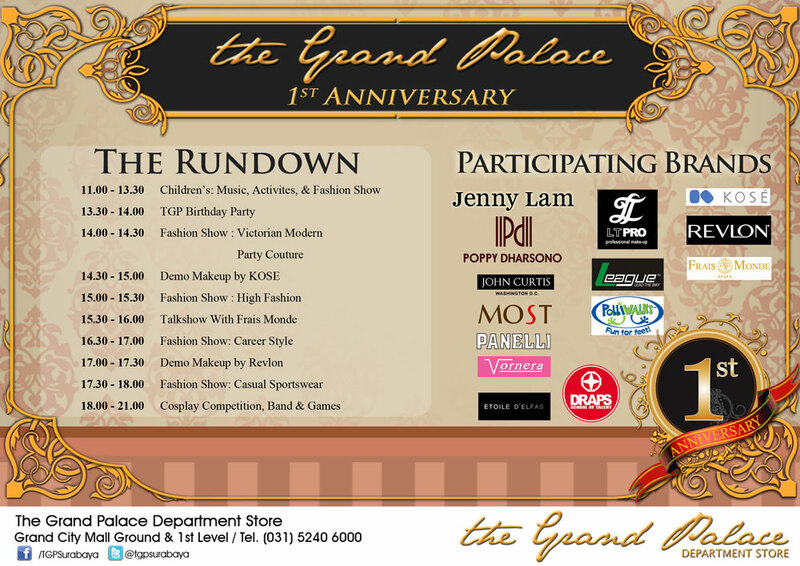 I also get a cupcake~ the main color is black and white because the Grand Palace theme is black. Goodie Bag nya bikin Ngilerrrr Tuh, Keren Banget ...!